Our January Sale is now on! Click below to learn about discount prices! 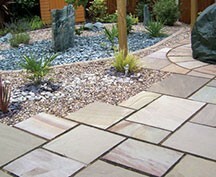 Hello and welcome to Norfolk Paving Supplies website. It is my aim to provide you the consumer, with the very best choice from an ever expanding range of quality paving products and accessories. 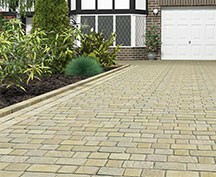 So if you are looking for driveway paving, garden paving, landscaping materials, paving accessories, drainage products, protective sealers and resins, or just some tools to assist with your paving installation then look no further. We hope you enjoy spending a few minutes looking at the extensive range of products displayed on our website that will help enhance your outdoor living experience. Many of these products are available from stock immediately or delivered directly from the manufacturer, enabling us to be extremely competitive on price. We aim to offer every customer excellent value and quality while maintaining outstanding customer service. 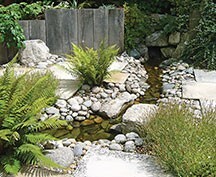 Or maybe you are looking for that odd item to match some existing paving, walling, drainage or landscaping item; then please view our reclaimed products section. 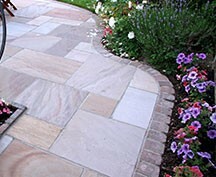 With more than 40 years in the industry, I am confident that the team at Norfolk Paving Supplies, who are very approachable and friendly, will go out of their way in providing you with the best possible advice and guidance in selecting the right product for your project every time. If you wish to discuss your requirements personally, then please contact one of the team directly by using one of the contact methods available. After spending over 4 decades in the industry I am also fully aware that this is possibly, a once-in-a-lifetime purchase / installation for many customers. I believe it is important that the customer is provided with an opportunity to see, touch and inspect actual products in order to make the right choice, which is why we have a large product display site in Norwich for those of you who wish to visit. An appointment is advisable so one of my team can spend time with you advising and answering any questions you may have. All prices are plus VAT and delivery charges apply to all items as stated on the appropriate webpage. We offer a standard delivery service (normally 3 to 5 working days), there is an optional Xpress (1 to 2) day delivery available at extra cost this applies to specific items and full packs only. We except all payments including Maestro, Visa, and Mastercard, all of which are processed securely through PayPal with its own customer protection, so you can be 100% sure that your details are secure as we have no access to your PayPal account.